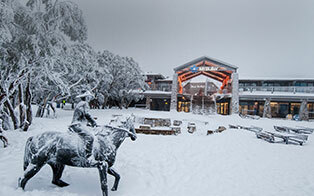 A number of coach services operate to and from Mt Buller from Melbourne during the snow season. A quick snapshot of services available in 2018 is in the table below, and the listings underneath provide further detail for each coach service. Did you know there's a coach service from Adelaide? See BullerBus below. *There are also daily coach services to Mt Buller departing Mansfield and Mirimbah (base of Mt Buller), refer to the Mansfield Mt Buller Bus Lines listing below for times. *There are also daily coach services departing Mt Buller to Mirimbah (base of Mt Buller), and Mansfield, refer to the Mansfield Mt Buller Bus Lines listing below for times. Harlan offers bus charter and private group tour services to Mt Buller, and has been since 1991. Mt Buller day trips, group charter, overnight packages and transfers. Convenient daily departures from Melbourne. BOOK ONLINE NOW! 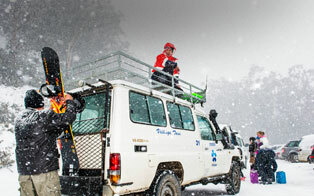 MMBL has been transporting people to Mt Buller for over 30 years, offering several services to mountain visitors. Offering a full transfer service direct to Mt Buller three days per week. 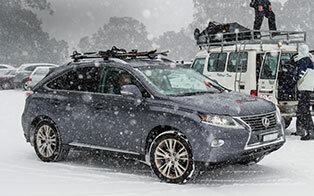 Oz Extreme operates skiing tours and snowboard trips most weekends throughout the winter. Daily 6.45am departure to Mt Buller! Luxury coach travel and free Wi-Fi on-board, packages available. Ride into Winter on the Snow eXpress! A great way to hit the snow in Victoria! Departs from Melbourne each morning and evening. Your one stop travel group for Mt Buller tours, accommodation, lift tickets, ski lessons and ski hire. Delivering the personalised service that you deserve. Early departure from Melbourne to Mt Buller. International tourists, students and locals all welcome. BullerBus operates regular day tours and transfer services from Melbourne, Tullamarine Airport, Adelaide & Sydney to Mt Buller, as well as day tours starting in Melbourne. Purchase your resort entry, parking and valet taxi tickets online before you arrive to save time and money.